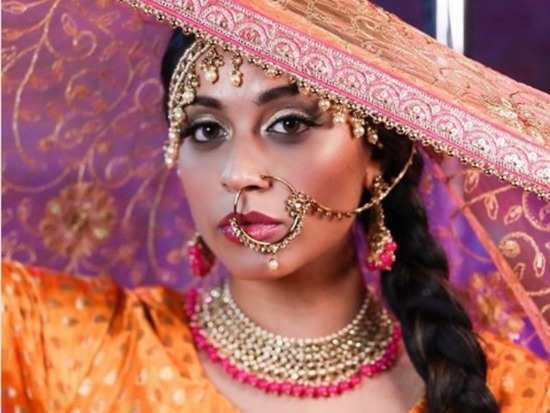 YouTube sensation Lilly Singh, who also goes by the name Superwoman, released a music video of remade Bollywood songs as rap songs with a strong message. Choli Ke Peeche, All is Well and Aankh Maarey are the three popular Bollywood songs Singh chose to mashup but changed the lyrics to a powerful rap that talks about mental health issues, bisexuality and women in the film and music industry. In February, Singh came out as bisexual and celebrates her sexuality with confidence in 'Aankh Maarey'. The Indian-Canadian comedian released the video on Youtube on March 28. In a post on Instagram, Singh explained why she chose these songs and her reason for making this music video. "I love Bollywood and I love rap music, so I decided to collide both worlds and remake some of my favorite filmi songs into rap anthems. Choli Ke Peeche Kya Hai is a CLASSIC and so I wanted to pair it with some modern wisdom I’ve gained over the years," she stated. "Growing up, I was often taught a “right” and “wrong” way to be a woman. I was told exposing your body too much isn’t good, fair skin is the goal, having a tummy isn’t beautiful and subconsciously that other people could/would and should make judgments about you. I believed all of this for some time in my life because I didn’t know another way, " she further went on to explain. Adding, "As I’ve grown up, I’ve proactively made an effort to unlearn a lot of these things and this song represents that growth in a nutshell."